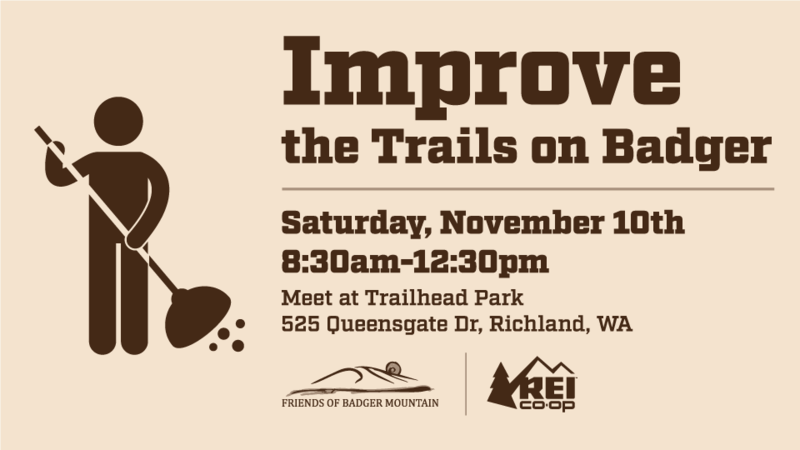 Join Friends of Badger Mountain as we team up with REI for another trail service project Saturday, November 10! We will be working on the lower Canyon Trail making general repairs and widening it. The work will involve shoveling and raking. The Friends of Badger Mountain will provide all tools, please bring work gloves, snacks and water with a pack to carry them in and dress for the weather forecast. There will not be any work for those 12 and under. If you’re planning to come, please let us know by emailing Jim at trailmaster@friendsofbadger.org or text 509-940-7234.